Brian’s marketing experience began in 2006 as a BMI-affiliated recording artist. 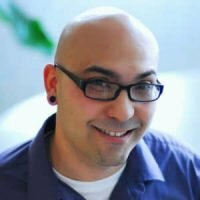 His experience in audio production, graphic design, and website development have allowed Brian to leverage guerrilla-marketing techniques that go “beyond the blog.” By day (and sometimes night) Brian assists clients with local optimization and content marketing. When he’s not behind the keyboard, Brian enjoys martial arts to 4-wheeling in Wyoming with his wife and 2 children.